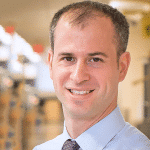 Dr. Wainger is an Assistant Professor of Neurology and Anesthesia at Massachusetts General Hospital. His lab aims to develop a precision medicine platform by which analyses of stem cells and derived cell types can be used to build more powerful human models in the laboratory. He is also currently conducting clinical trials in patients with amyotrophic lateral sclerosis (ALS). Dr. Wainger received his MD and PhD from Columbia University and completed his residency and clinical fellowship at Massachusetts General Hospital and Brigham & Women’s Hospital.